New England quarterback Tom Brady threw his 400th career touchdown pass Sunday, hitting Danny Amendola on a 1-yard pass just before halftime of the Patriots game against Jacksonville. 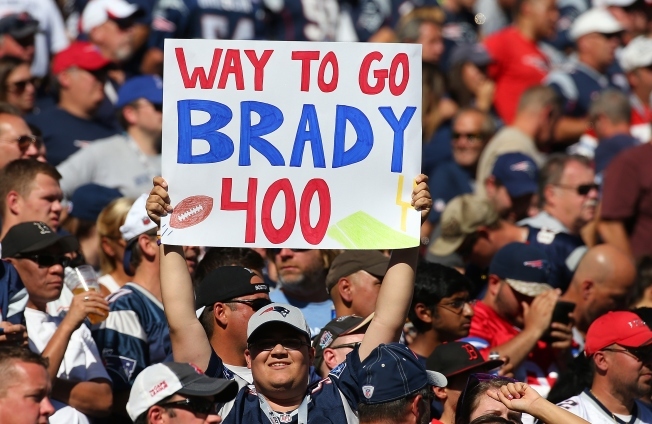 Brady reached the milestone in 212 games - faster than anyone but Manning, who needed three fewer games to accomplish the feat. Marino threw his 400th pass in his 227th game and Favre in his 228th. New Orleans quarterback Drew Brees, who is out this week with a rotator cuff injury, remains at 398 touchdown passes. The next active quarterback on the list is the Giants' Eli Manning with 263.